JR, The Black Entertainment Guide: Tyler Perry tells Spike Lee to go "Straight to Hell"
Tyler Perry tells Spike Lee to go "Straight to Hell"
For the past three years, the two biggest black filmmakers, Tyler Perry and Spike Lee, have been trading insults. Their feud was ignited when Spike Lee said Tyler Perry's work was coonery. Perry has received negative criticism for his movies portraying blacks as idiots. Spike Lee was considered the premier black filmmaker of the mid-1980s until the late 1990s. But, Tyler Perry solidified himself in the 2000s. Six years making films, Tyler Perry has yet to have one not be a box office hit. In spite of all his success, Spike Lee has not had anything nice to say. 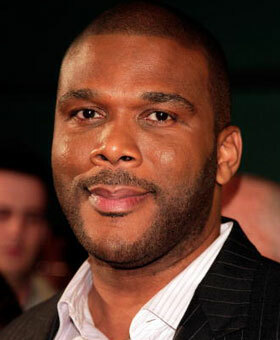 Throughout his career, Tyler Perry has been criticized by the black community for his work. To Perry, it is confusing because other races do not overreact when their race puts out movies and television programs. After all he has done for the black community, including giving back, he cannot figure out why he is criticized so harshly. In a recent meeting in California, Tyler Perry finally had enough. When Spike Lee's name came up, Perry said he can go straight to hell. Tyler Perry said Spike Lee has spoken negatively about Whoopi Goldberg, Oprah Winfrey, and Clint Eastwood. With so much said, Tyler Perry said Lee needs to shut the hell up and sit down somewhere. Tyler Perry said all great blacks have gone through this, but he is very frustrated with the reception his work gets after he puts so much into it.